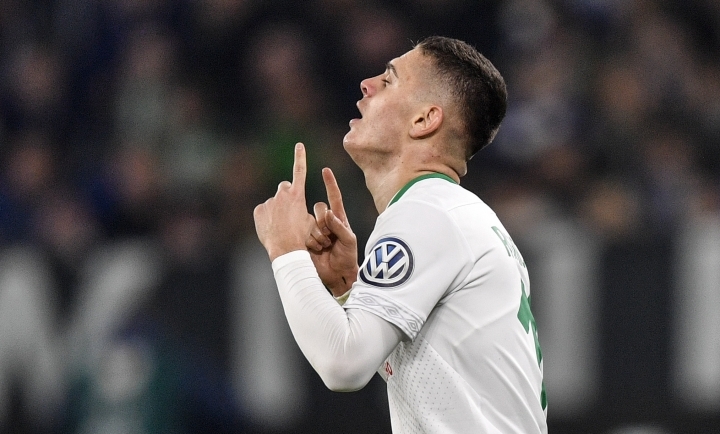 BERLIN — Milot Rashica is blossoming at Werder Bremen, where the young Kosovo forward's standout performances are sure to prompt offers from rival clubs. The 22-year-old scored a stunning goal to set Bremen on its way to the German Cup semifinals with a 2-0 win at Schalke on Wednesday. Rashica let fly from outside the penalty area to lift the ball over goalkeeper Alexander Nuebel before it dipped inside the far corner. "What Milot did there — you can do that again!" Bremen coach Florian Kohfeldt laughed after the game. "He has taken a giant step forward. He's more confident in himself and can simply fire such things in." It was Rashica's fifth goal in his last four games in all competitions, starting with two he scored in Bremen's 4-2 win over Schalke in the Bundesliga. 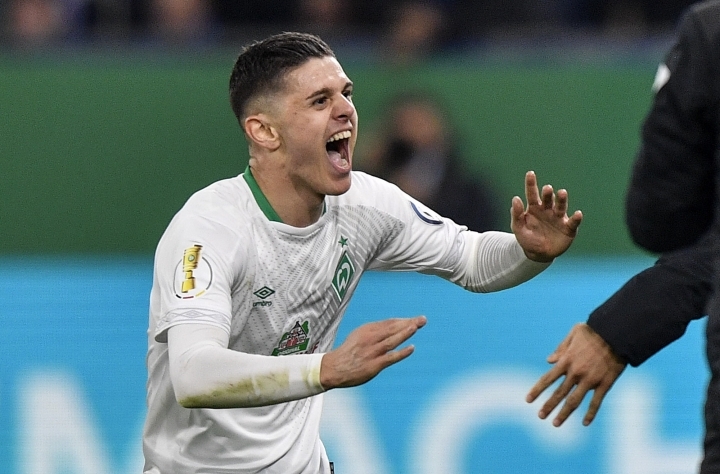 Rashica has been combining brilliantly with Bremen captain Max Kruse, whose own performances have led to calls for Germany coach Joachim Loew to recall him. Bremen is unbeaten in 12 games in 2019 and on course for European qualification after climbing to sixth in the Bundesliga with wins over Bayer Leverkusen and Mainz. Kohfeldt was named Germany's coach of the year for 2018 because of Bremen's improvement since he took over from Alexander Nouri in November 2017. Bremen was 17th in the 18-team division at the time. Rashica, who joined Bremen from Dutch club Vitesse Arnhem for a reported 7.5 million euros ($8.5 million) in January 2018, has certainly profited from the Kohfeldt's gentle leadership. Kohfeldt has also overseen the development of midfielder Maximilian Eggestein (22), his brother Johannes (20), and American forward Josh Sargent (19), who made his first Bundesliga start in February. Rashica has made 19 league appearances this season, but he has really taken off since early January, with seven of his eight league goals coming in 2019. Kohfeldt hasn't been afraid to push the forward for more. He asked Rashica to work on his defensive responsibilities and he took the player off at halftime after a disappointing performance against Nuremberg. Three days later, Kohfeldt gave Rashica another chance by starting him in the German Cup at Borussia Dortmund. Rashica scored in Bremen's 4-2 win and followed up with two goals in the next game against Augsburg before being forced off with back problems. By then, Rashica had established himself as a first choice for Kohfeldt. "With the ball, he can do anything you need to win games," Kohfeldt said. "Milot has a brilliant shot, whether from distance or in the penalty area. His right foot is a dangerous weapon. On top of that, you have his small stature that makes him hard to stop when he's running with the ball, and top speed on the pitch. "Milot can make the difference at any time with an individual action. That's a valuable asset. You only find such players very rarely." Rashica, who played two games for Albania before switching to Kosovo in 2016, emerged at hometown club Vushtrria before joining Vitesse in 2015. After two and a half seasons in the Dutch league, he said it was difficult to adjust to the Bundesliga. "There is an enormous difference," Rashica told Bremen's website. "It took me a while to build up my fitness and to get used to the style of play and my teammates." Rashica worked hard during Bremen's winter training camp in South Africa and it seems as though the effort is paying off. Teammates have nicknamed him "Rocket Man" due to his outstanding form this year. He said he benefited from advice from veteran teammates Martin Harnik and Claudio Pizarro. "They always said to me, it's always good for me to be creating chances," Rashica said. "I simply had to continue doing what I was doing and the ball would eventually go in at some point."